Yes, thank you–good! You can do them too, after seeing your Flamenco dancers, I know you will be great. What a brilliant idea! You’ve made me get my thinking cap on. I loved watching the process of you making prints from gigantic plant leaves! I hope you get a lot of people clicking onto your ‘flickr’ slideshow because it’s quite something to behold. thank you for your comments here! very nice of you to tell me, thank you. I love doing them. and you? do you ever do miniatures? 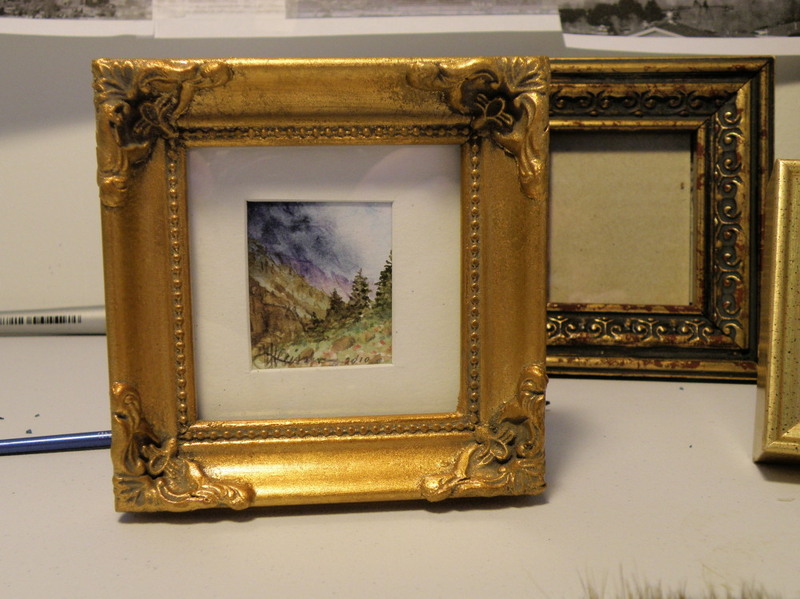 Those miniatures in all their little frames–I love them! 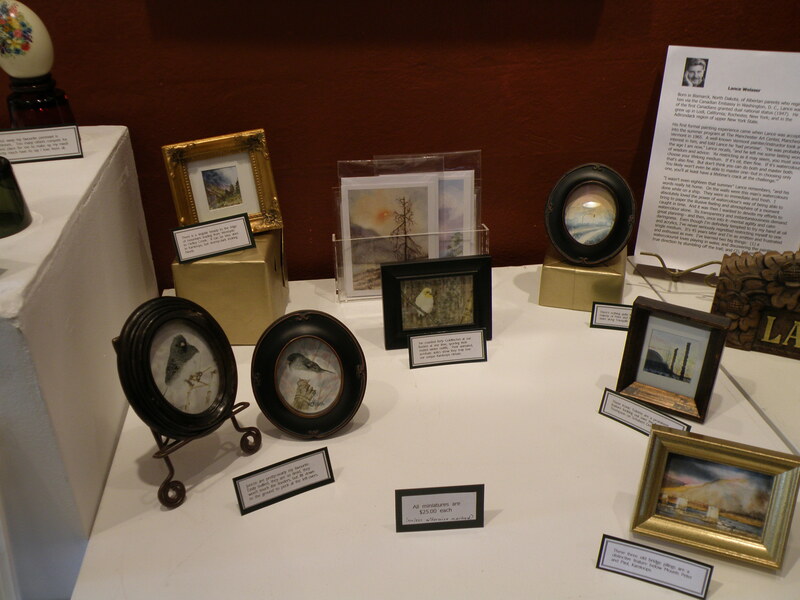 A collection of small treasures.